The majestic Iguassa Falls, of the Iguaza River, is the largest waterfall system in the world, a major tourist attraction and a UNESCO World Heritage Site. 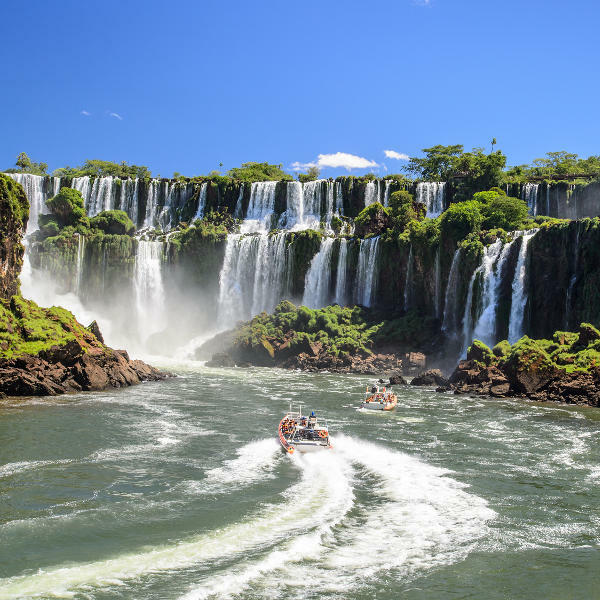 This incredible natural wonder is nestled between the borders of Argentina’s Misiones province and Brazil state, Paraná. The Iguassa Falls is famed for its spectacular views and legendary highest point, Devil’s Throat. Cheap flights to Iguassa Falls are now available for a limited period of time, so prepare for a thrilling and adventurous trip to this beautiful world wonder! Iguassa Falls is served by the Foz do Iguaçu/Cataratas International Airport (IGU) in Foz do Iguaçu, Brazil. IGU is just a 20-minute drive from Iguassa Falls' city centre. Experience the majestic beauty of the Iguassa Falls first-hand; take in the crisp air and capture the unrivalled views that the largest series of waterfalls in the world has to offer. 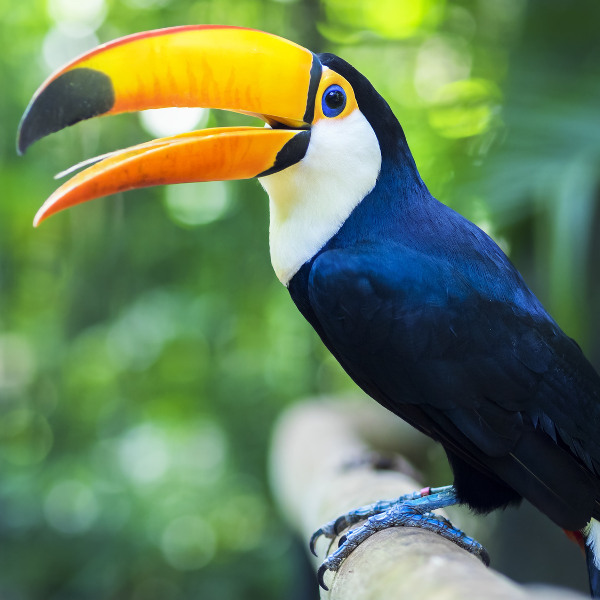 Discover the rare and beautiful wild animals, including the notorious Jaguar or the colourful Toucan found in the two national parks, the Iguazú National Park in Argentina and Iguaçu National Park in Brazil, which share the falls. Your journey won’t be complete unless you take a wild and exhilarating boat ride under the Iguassu Falls. Capture every exciting moment getting drenched in the powerful waters. Iguassu Falls experiences a tropical climate, making weather conditions perfect for visits-all–year-round. The majestic river and falls are at their fullest during the rainy months of December to February, attracting a constant influx of visitors. During these months the temperatures are high and it’s the perfect time to take a boat trip under the waterfalls. The vacation months for the locals in Argentina and Brazil also fall between this period so prices go up and crowds keep growing. Between the months of April and November it is low season for travel in Iguassu Falls. Accommodation, air fares and general expenses are lower and the weather is warm and less humid. The shoulder seasons fall between these months and this is the perfect time for taking part in other activities like camping, hiking and visiting the nature parks. The majestic Iguassa Falls, of the Iguaza River, is the largest waterfall system in the world, a major tourist attraction and a UNESCO World Heritage Site. Nestled on the borders of Argentina’s Misiones province and Brazil’s Paraná state, it is famed for spectacular views and its legendary highest point, Devil’s Throat. Experience the full force of the notorious Devil’s Throat on an all-day excursion around this natural wonder. A walk up high and challenging trails and staircases lined by lush green vegetation will leave you in awe of nature’s incredible beauty. Get drenched in cool water on a thrilling and adventurous boat trip through the energised and powerful waterfalls. 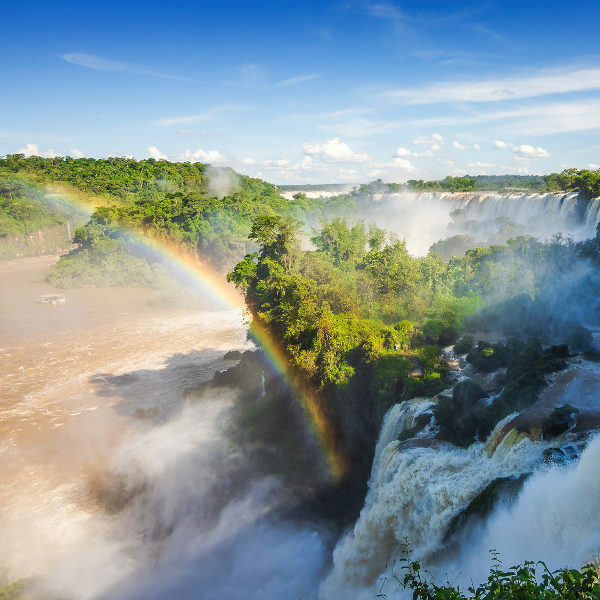 The Brazilian side of the border is home to the Iguaçu National Park in Brazil where you can discover rare and beautiful wild animals like the mysterious Jaguar, the colourful Toucan or the feared yellow- breasted Caiman alligator. If you’re looking for a more relaxing activity make use of the vast walkways where you can get up-close views of the falls. Compare several airlines, and book your cheap flights to Iguassu Falls online at Travelstart! Make sure your routine vaccines that include the MMR vaccine, DPT, Chickenpox, Polio and yearly flu shots are updated before travel. A Yellow Fever vaccination and medication to prevent Malaria is recommended. Visitors to Argentina and Brazil must obtain a yellow fever certificate to be allowed back into South Africa. The Zika virus and Dengue fever are risks in South America and it is recommended that you protect yourself from mosquito bites with mosquito nets, repellents etc. Sexual transmission of Zika is possible and infection in pregnant women can cause serious birth defects, it is therefore recommended that you do not travel to Iguassu Falls if pregnant. The tap water in the border cities, Puerto Iguazu in Argentina and Foz do Iguassu in Brazil, must be boiled before use. Water around the Iguassu Falls should be boiled before use as well, or stick to bottled water. While in the cities, you should practice normal safety precautions such as keeping your valuables and important documentation safe and watching out for petty crimes like bag-snatching or pick-pocketing.